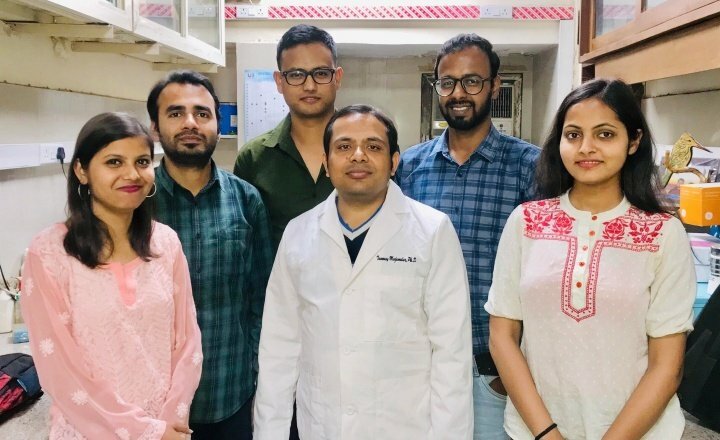 Researchers from the University of Delhi have come up with a novel way to counter infection by the intracellular parasite Toxoplasma gondii, using a drug that triggers the infected cell’s suicide mechanism, thus killing the parasite residing inside it. About a third of the world’s population is estimated to be infected by Toxoplasma gondii (T. gondii). This parasite is notorious for its ability to subtly alter human behaviour, even during a latent infection. In individuals with compromised immune systems, T. gondii infections are known to result in loss of vision or severe brain damage. Lack of vaccines and side effects of current treatment methods have kept scientists on the lookout for novel methods to control T. gondii infections. Tanmay Majumdar and his team of researchers from the University of Delhi believe that they may be closer to tackling an infection by this ‘mind boggling’ parasite. In a recent study, the researchers propose treatment with a small molecule called teriflunomide that triggers cell death, thereby killing the parasite infecting the cell. T. gondii is typically contracted by consumption of contaminated food. 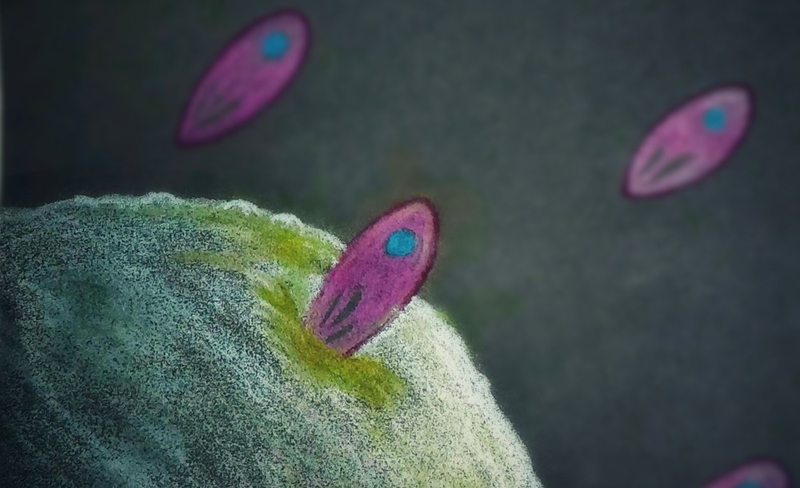 Hence, Majumdar’s team decided to study T. gondii infections in intestinal epithelial cells – the first cells to come into contact with the parasite and play ‘host’ to these unwelcome guests. The hope was that this strategy would help them identify molecular players that can be used to nip infection in the bud. To understand the cellular changes that occurred upon infection, the team infected cultured intestinal cells with T. gondii and monitored changes in the expression of some key proteins involved in cell survival and immune response. The outcome of these experiments made them realize that the genes involved in breaking down tryptophan and their end products (metabolites) might hold the key to fighting the battle against T. gondii. Tryptophan is an essential amino acid that is required for T. gondii to multiply. Importantly, since the parasite cannot make its own tryptophan, it heavily depends on the host for supply of this amino acid. T. gondii converts the host’s tryptophan into melatonin, a metabolite that is known to enhance cell survival and also support parasite growth. This tactic tricks the host’s immune system to assuming that the cell is healthy and sans infection. However, in the presence of a strong immune response, T. gondii infection breaks down tryptophan into another metabolite kynurenine. “Kynurenine can induce cell death, which means now, the parasite cannot replicate,” says Majumdar. And convincingly enough, when the researchers added kynurenine to T. gondii infected cells, the parasite’s ability to enter cells was dramatically stunted and the metabolite activated the host cell’s suicide pathway, also known as apoptosis. However, kynurenine itself is a double-edged sword because its dysregulation has been implicated in brain disorders. Hence Majumdar decided to try an analog, teriflunomide. Much to his relief, teriflunomide was equally effective at curbing parasitic load. In an attempt to understand the cellular mechanism that induces cell death under these conditions, the team discovered that both kyneurenine and teriflunomide reduced the expression of some key pro-survival proteins in the cells (such as AKT and beta-catenin), thereby prodding the cell to trigger its own death – a sacrifice to get rid of the parasite. “For me, the most impactful finding of the paper is the demonstration of a host cell-parasite cell balance being struck via competition for a single entity, tryptophan,” said Satyajit Rath, from the National Institute of Immunology, Delhi, who was not associated with the study. He feels that this study could prompt people to explore the various strategies used by parasites and host cells to make themselves fitter, a process known as “coevolution”. However, Majumdar has other plans. He is hopeful that these findings could pave way for novel therapeutic treatments to fight Toxoplasma infections. “You could call this metabolite therapy, which is coming up in a big way,” says Majumdar, who is now keen on collaborating with clinicians and testing these findings in other systems.